A lifelong resident of the Western Suburbs, Kristi has a vast understanding of the local community and market trends that affect its residents and the places they call home. 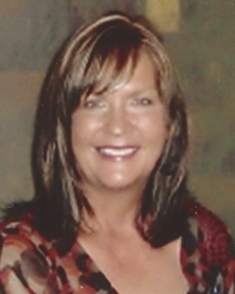 A licensed real estate broker for 8 years, Kristi holds a B.A. Degree in Business & Economics, and prior to her real estate career, she was a consistent top producer is the Software Industry where she was recognized for her intense dedication to customer service. She seamlessly transitioned to real estate keeping her number one priority focused on listening to her clients, understanding their unique needs and finding the ideal fit for those needs. A strong believer in communication, Kristi is highly responsive to her clients and continues to keep loyal clients and a strong referral network as the pillar of her real estate success. “Kristi was absolutely amazing! I couldn’t have asked for a better realtor. She was always very quick to respond, on top of things, and genuinely cared about helping us to find the right home. I highly recommend Kristi!” …Danielle B. “Kristi helped me to prepare my property for sale so that when it went up for sale it sold the same day. Then, as issues arose, which they always do, Kristi was always available, 7 days a week, to help me resolve them.”… Doug N.
“Kristi’s positive attitude and cheerful demeanor made everything so easy to handle. It was a joy to work with her!” … Norbert M.